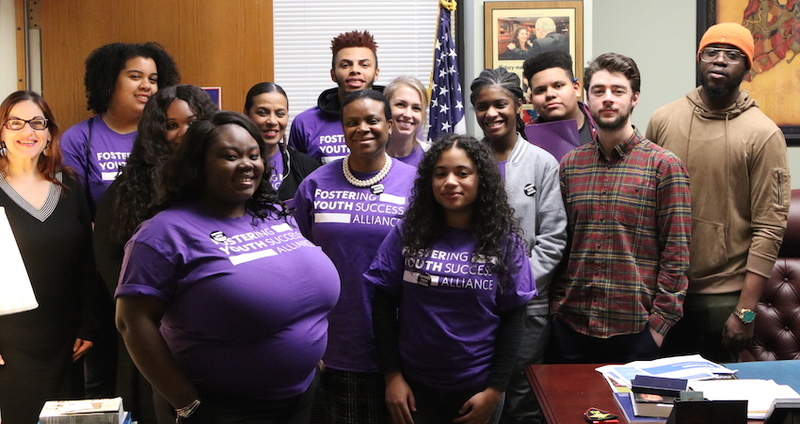 On Tuesday January 29th, 2019, Please Join the Fostering Youth Success Alliance for Advocacy Day in Albany, NY. Help us advocate for the continued funding support of the Foster Youth College Success Initiative (FYCSI). First established in April 2015, FYCSI aims to connect foster care youth and alumni to financial supports and comprehensive resources on college campuses through the opportunity programs. FYSA released our first report, Fostering Independence, in May 2014, which identifies the unique challenges youth face while transitioning from foster care to college. Just 18-24% of youth in care will enroll in college after high school. FYCSI aims to enable foster care youth and alumni with the resources necessary to achieve a college degree and become independent. Free transportation will be provided via charter bus. You must RSVP for a space on the bus during your registration for advocacy day. Transportation will be provided on a FIRST COME, FIRST SERVED basis. We hope you will join us for this advocacy day at the State Capitol. Thank you!